Earlier today, Brad Lavigne, an NDP campaign adviser, said Wheeldon’s position as reflected by the Facebook post didn’t reflect the party’s position. 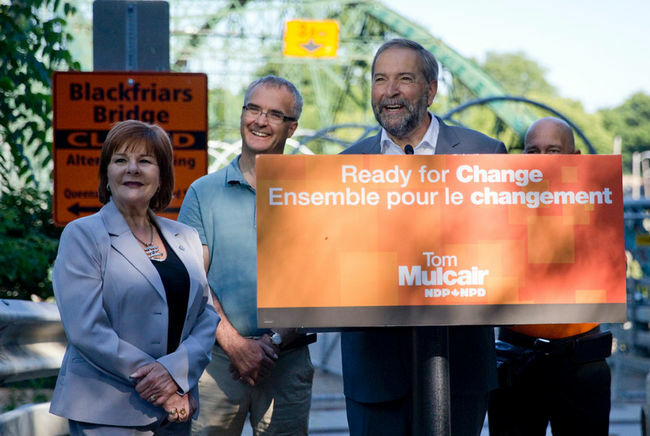 “Our position on the conflict in the Middle East is clear, as Tom Mulcair expressed clearly in the debate. Mr. Wheeldon’s comments are not in line with that policy and he is no longer our candidate,” he said. 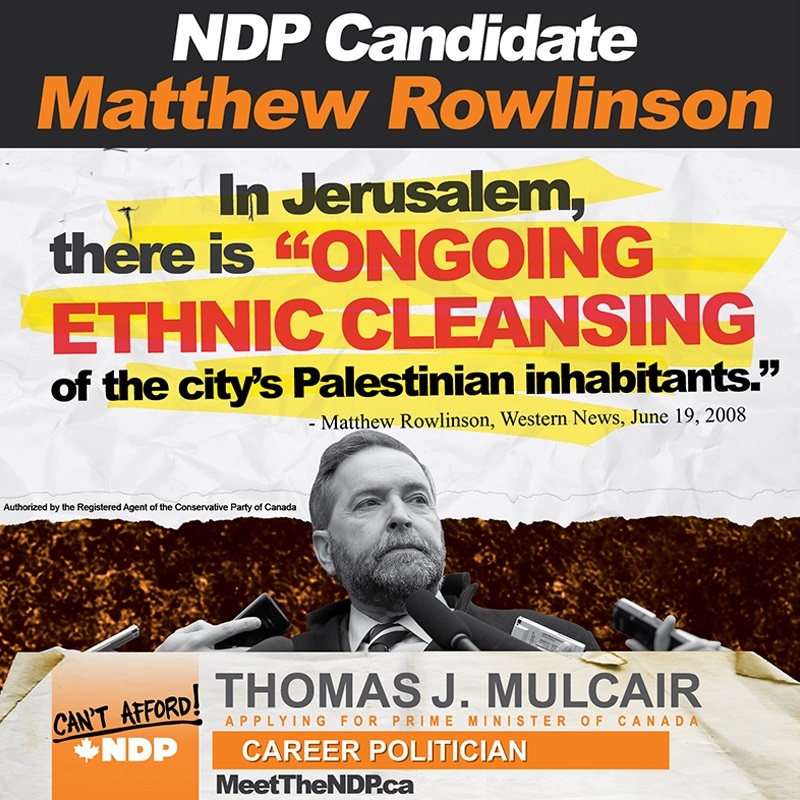 To Thomas Mulcair, not all Israel-haters are equal. Thank you for your letter of July 26 to the CBC Ombudsman regarding an “offensive” term you heard on a recent edition of Power and Politics. As the executive producer of the program I can tell you that your feedback is important and appreciated. 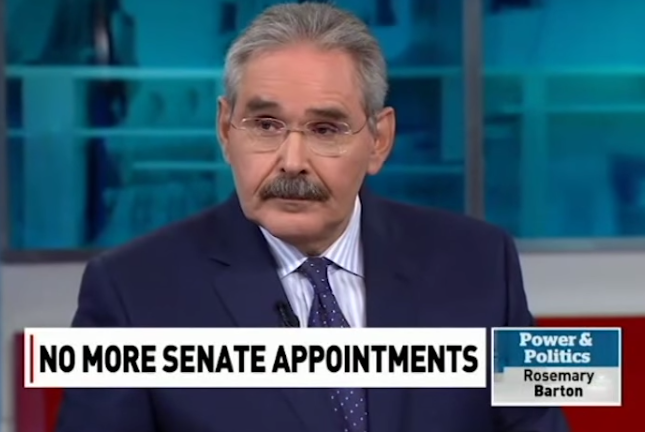 You wrote that CBC News Senior Correspondent Terry Milewski used the term “tar baby” during an interview on the July 24 edition of the program to describe the problem posed to Prime Minister Stephen Harper by the continuing Senate controversies. You pointed out that in a six-year-old review CBC’s Ombudsman had concluded that while “tar baby” was current in some communities 50 years ago, it “can now easily be viewed as archaic and offensive to many”. It is a particularly evocative term especially for anyone who grew up with Joel Chandler Harris’s Uncle Remus children’s stories where it referred to a doll made of tar and turpentine used to trap Br’er Rabbit. But despite its literary provenance, the term has been interpreted by some as having negative racial connotations. While from the context in which it was used, Mr. Milewski’s meaning is abundantly clear, still because it can be misinterpreted, it is our practice to avoid using the term. And while it is not something found these days in printed or scripted stories, live television does not benefit from the reflection they afford. On occasion, even the most seasoned television journalists use words that might be better chosen. I have spoken with Mr. Milewski and reminded him of CBC practice regarding this term.